“The Good Doctor,” the ABC remake of a Korean television series, got off to a good start in the US. The first episode of the show which aired Monday evening at 10 pm (Eastern Standard Time) topped ratings in its time slot. The show amassed a 2.4 percent viewership among viewers aged 18 to 49, meaning that some 1.18 million viewers tuned in, according to American ratings site TV By The Numbers. NBC’s “The Brave” and CBS’ “Scorpion” trailed behind at 1.3 and 1.0 percent, respectively. In the US, a show is considered an initial success if it kicks off with ratings that surpass the 2 percent mark. “On ABC, ‘The Good Doctor’ drew a very solid 2.4, pending updates,” TV By The Numbers commented. 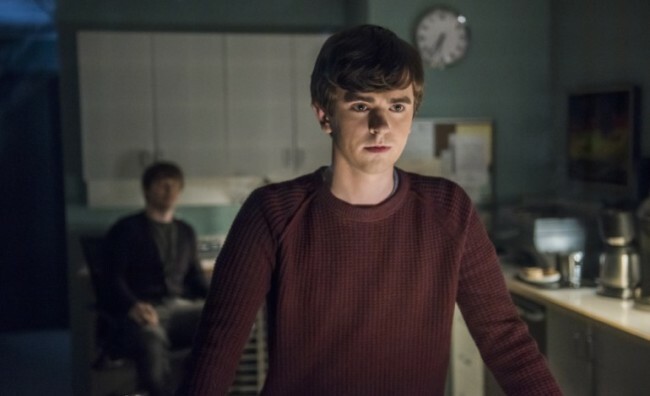 Freddie Highmore stars as Shaun Murphy, a young pediatric surgeon with autism and savant syndrome, in the remake of the 2013 KBS drama “Good Doctor” penned by Park Jae-bum. “The Good Doctor” is produced by Sony Pictures Television, ABC Studios and Korean-American actor Daniel Dae Kim’s production company 3AD. Kim and Korean contents company Entermedia’s Sebastian Lee are among its co-executive producers.